If you are alone, follow the steps below. â€¢ Move the Person – Take the person out of the water. â€¢ Check for Breathing – Place your ear next to the person’s mouth and nose. Do you feel air on your cheek? Look to see if the person’s chest is moving. â€¢ If the Person is Not Breathing, Check Pulse. Check the person’s pulse for 10 seconds. â€¢ If There is No Pulse, Start CPR, Carefully place person on back. o For an adult or child, press down about 2 inches. Make sure not to press on ribs. For an infant, press down about 1 and 1/2 inches. Make sure not to press on the end of the breastbone. o Do 30 chest compressions, at the rate of 100 per minute or more. Let the chest rise completely between pushes. o Check to see if the person has started breathing. Note that these instructions are not meant to replace CPR training. Classes are available through the American Red Cross, local hospitals, and other organizations. â€¢ Repeat if Person Is Still Not Breathing – If you’ve been trained in CPR, you can now open the airway by tilting the head back and lifting the chin.Pinch the nose of the victim closed. Take a normal breath, cover the victim’s mouth with yours to create an airtight seal, and then give 2 one-second breaths as you watch for the chest to rise.Give 2 breaths followed by 30 chest compressions. 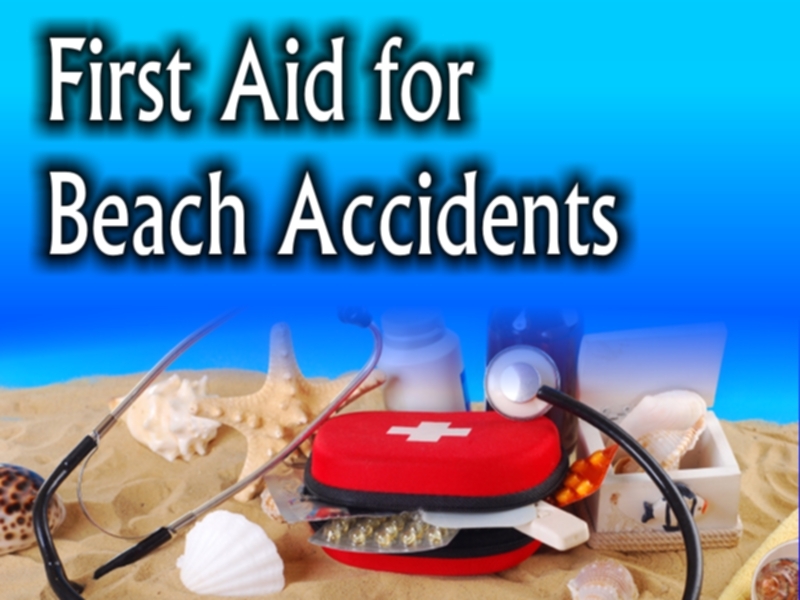 Continue this cycle of 30 compressions and 2 breaths until the person starts breathing or emergency help arrives.Â First Aid for Beach Accidents usually happens when there is a holiday, or special events when a lot of kids or people swimming.